So just because it is the middle of February and one of the most frigid nights of the year it doesn't mean you can't eat a salad. This is great as a side or hearty enough as a main dish. 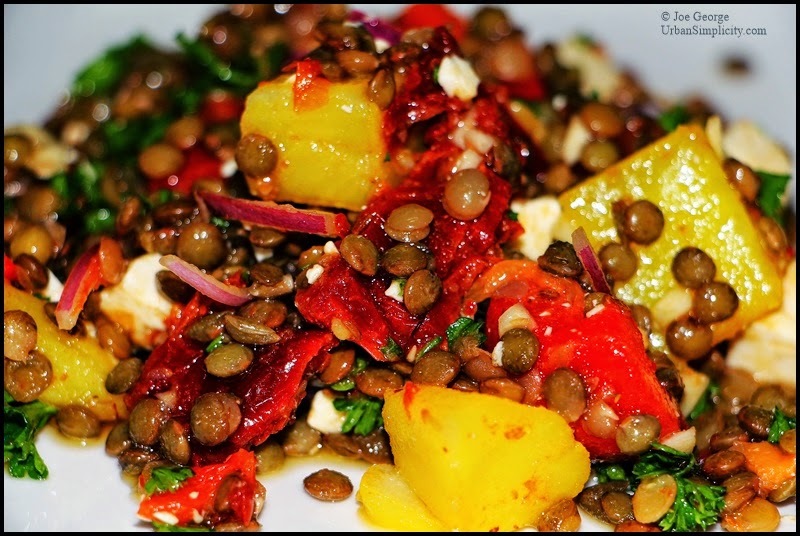 And with saffron-poached potatoes, French lentils, and a cumin-coriander vinaigrette, what's not to like. While this may look complicated at first, if you look at each step it is really simple. Combine the olive oil, vinegar, garlic, and salt in a small bowl and whisk together. 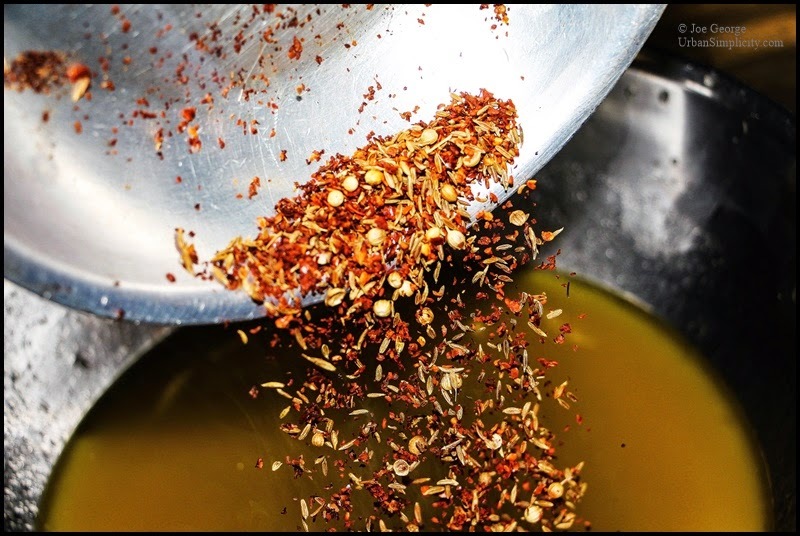 Combine the cumin, coriander, and Aleppo pepper in a small dry skillet and place it over medium-high heat. Cook the spices for a couple minutes—until they begin to smoke and pop—and then stir them into the vinaigrette. Set the vinaigrette aside while you prepare the salad. 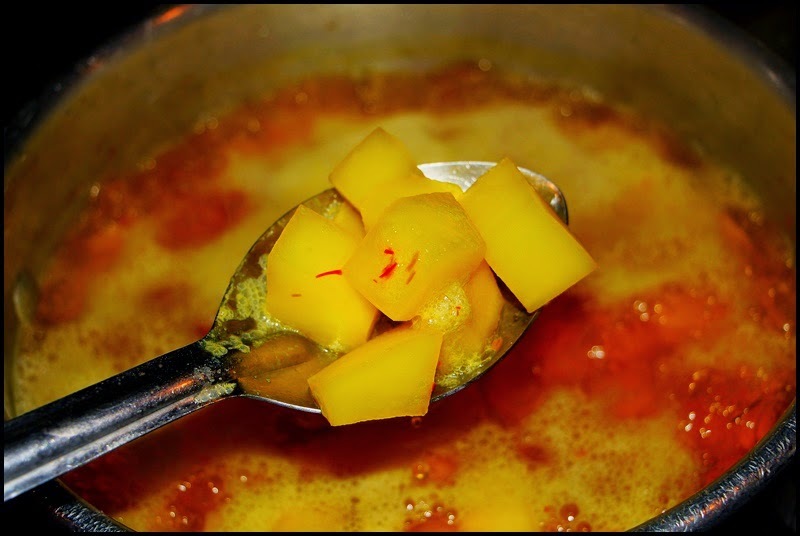 Combine the potatoes and saffron in a small pot with just enough cold water to cover them. Place the pot over medium high heat and boil the potatoes until they are cooked but not falling apart. Drain the potatoes (reserve the liquid for a soup or discard it), spread them on a plate, and allow to cool to room temperature. 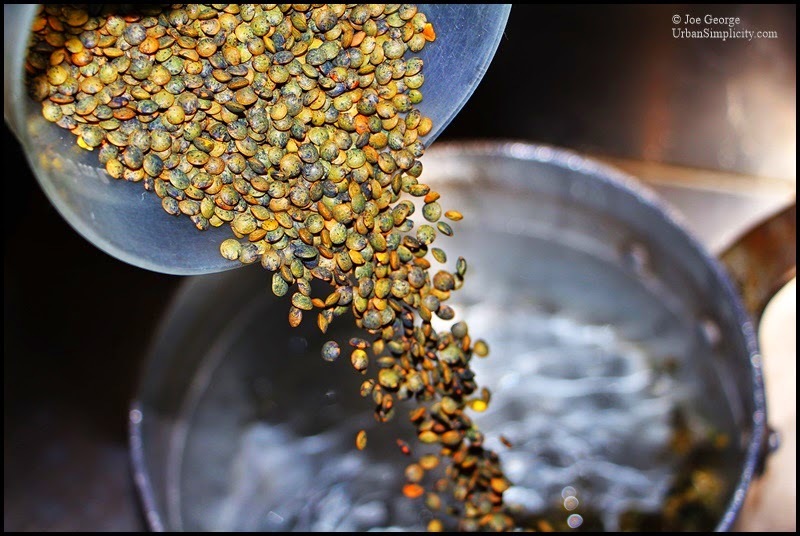 In another pot, boil the lentils for about 20 minutes, or until cooked but not mushy. Drain the lentils, spread them on a plate, and cool to room temperature. 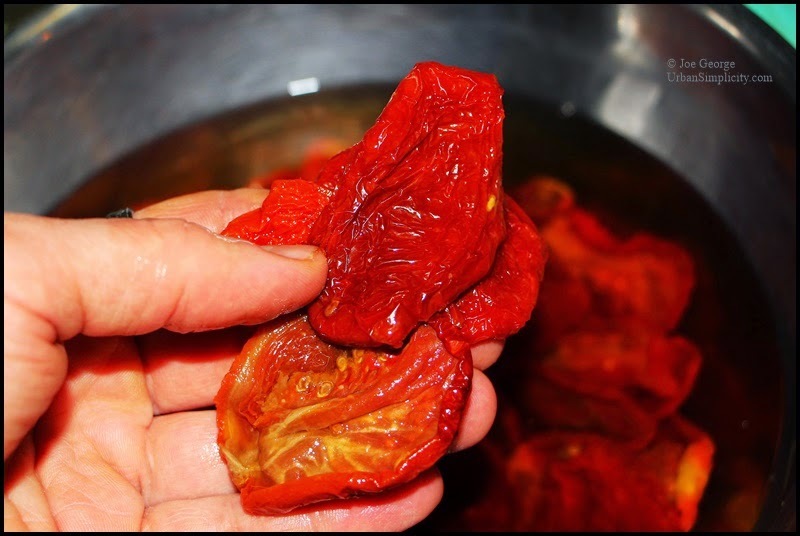 Place the sun-dried tomatoes in a small bowl, pour simmering water over the tomatoes, and let them rest for five minutes, then drain and dice them. To assemble the salad, combine all of the salad ingredients in a bowl. Whisk together the vinaigrette and pour it over the salad. 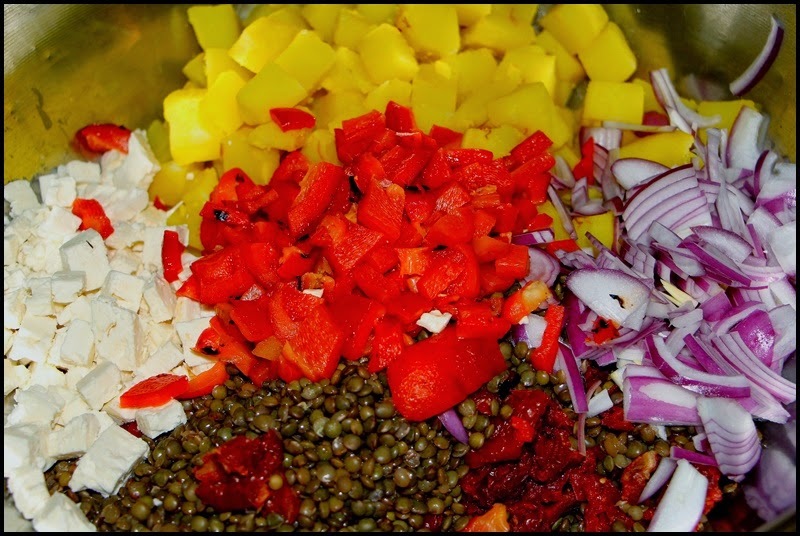 Gently fold the dressing into the salad ingredients. Serve at room temperature or chilled.